Craig Tansley finds a stunning secret world of teeming wildlife and island villages untouched by modernity. Each morning the islanders are here with the sunrise and in the evenings, long after the sun sets, they linger, not missing a moment of watching us. 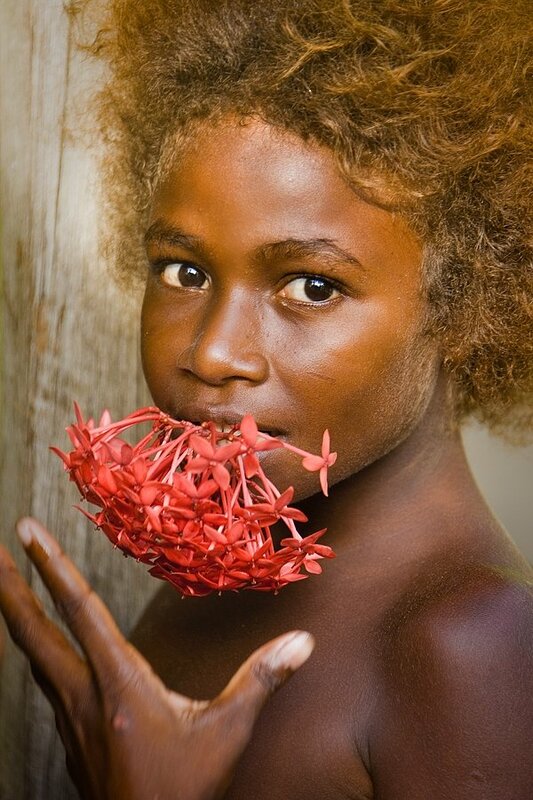 When we move on through these eastern islands of Papua New Guinea, there’s always more inquisitive locals. They congregate at the back of our ‘‘spaceship’’, in wooden canoes barely staying afloat, four or five children in tow, smiling at us with bright-red, saliva-stained teeth (everyone here chews betel nut until their teeth are mere fleshy, red stumps).Some days the crew on our cruise ship makes poodles out of balloons for the kids but the warriors – all sinewy, sun-blackened muscle – refuse to miss out, wrapping bright-pink balloons around their fuzzy, black hair. Early one morning I talk to a girl in a canoe who can speak broken English. She asks for my address in Australia. ‘‘Why would you like that?’’ I ask. ‘‘I frite [write] you a letter,’’ she tells me. ‘‘But do you have a post office in your village?’’ I ask. ‘‘What is a post office?’’ she replies. There are many among the islanders who have never seen white people before, a situation I’ve never encountered in my travels. To feel like Captain Cook in this ridiculously modern world school. Right here I feel I’m responsible for the image – the public relations – of the entire population of white people on Earth. It’s far too much for me to handle. I smile, I wave a little until I feel silly, I say hello 20 or so times in that funny accent we all put on when we travel overseas, then I dip my head self consciously, avoiding their little eyes. I die on that stage. I crash and burn.